In our house, I am defiantly the obsessive health advocate. The person who keeps her kids from spending their lives in front of a computer, with a bowl of something carby, greasy or processed. But the truth is that everyone, even those of us hell-bent on staying healthy, has at least one guilty pleasure. I have to say that I’ve done a pretty decent job not indulging in burritos too often. 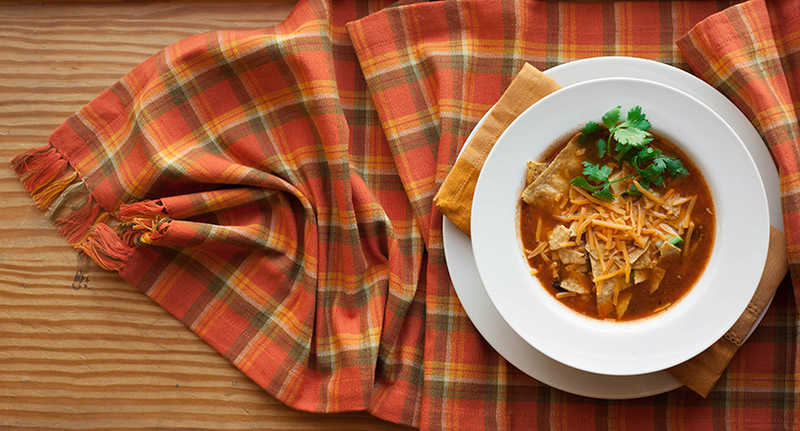 To keep those one-thousand-calorie monsters at bay, I feed my Mexican Food Addiction with healthier authentic options, like the Mexican salad, the guac and the tortilla soup. 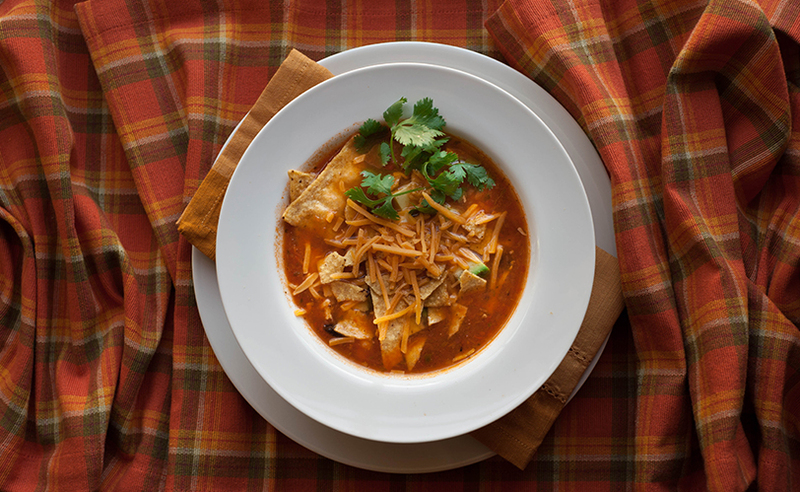 This Vegetarian Tortilla Soup recipe, that I share with you today, went through lots of iterations before making its way onto CuceeSprouts. Years of “hard work” and “heavy user testing” have produced a final variation that is uber flavorful, filling, yet surprisingly light (as long as you go easy on the rice and the sour cream) and very quick to make. Make the base, add the yummies, pour yourself a glass of Muga Prado Enea and have a Mexican Dinner Night tonight! 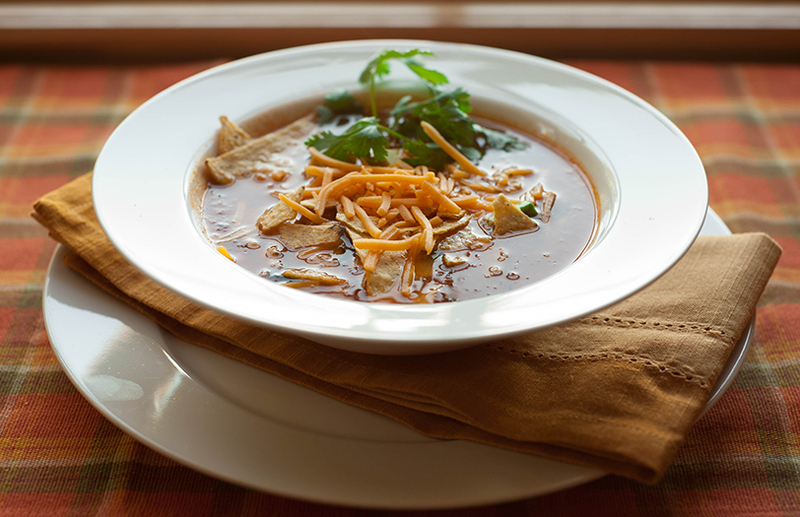 This Tortilla soup defines Cucee for me in one recipe. It is my absolute favorite Cucee creation.